Light. Tambour Slits on Back. Easy Storage. Arrives "Ready to Wrestle" with no need for additional curing time, no powder removal, no tubes. Perfect for home use. Can be rolled up and stored easily. Exclusive, hot-sprayed, polyvinyl painted coating (not a fabric covering like other mats) gives you a long-lasting and durable surface and provides the look, feel, and durability of a traditional wrestling mat surface. 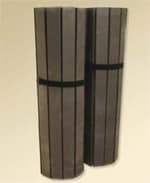 Closed cell, cross-linked, 1-5/8" thick, polyethylene foam absorbs impact and has flexible tambour slits on the bottom side for easy set-up, rolling and handling. Foam density is 2.2 lbs/cu.ft. Weight is 0.5 lbs/sf. 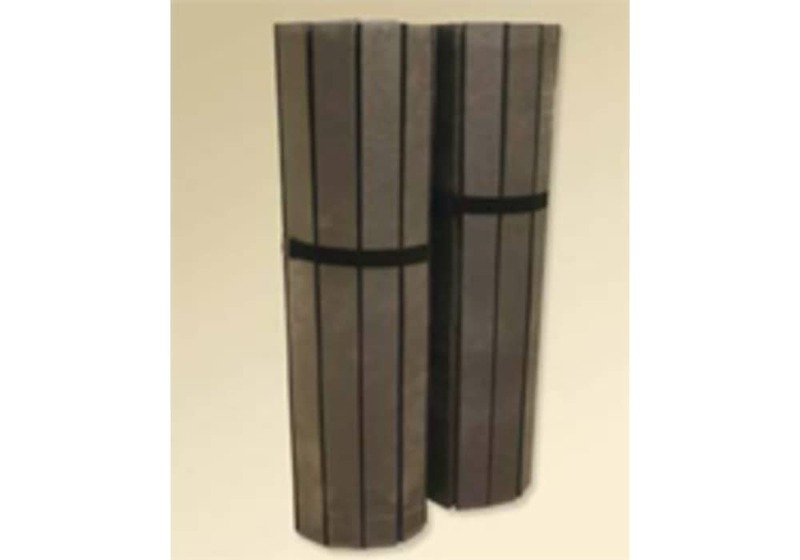 Designed and manufactured to meet or exceed the ASTM F1081 wrestling mat impact standard in accordance with ASTM F355 "Test Method for Shock Absorbing Properties of Playing Surface Systems and Materials. Includes care & handling instructions and 3" mat tape. 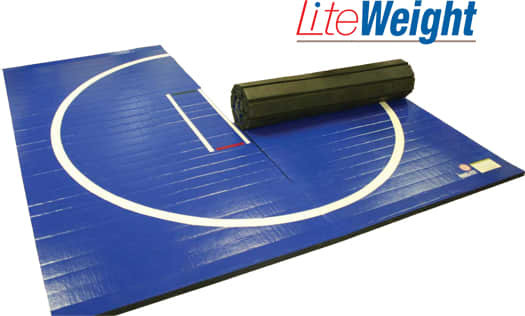 LiteWeight Wrestling Mat with Taped Seam. Our LiteWeight wrestling mats are manufactured with an exclusive, hot-sprayed, polyvinyl painted coating (not a vinyl fabric covering like other mats). This gives you a long-lasting and durable surface providing the look, feel, and durability of a traditional wrestling mat surface. The closed cell, cross-linked, polyethylene foam has flexible tambour slits on the bottom side, allowing for easy set-up and making this an ideal practice wrestling mat for the home or anywhere else you want to practice, especially if portability and storage are an issue. Features 1-5/8" thick polyethylene foam to absorb impact, making this a great wrestling mat for kids or adults alike. 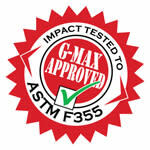 Our Lite Weight wrestling mats comply with ASTM impact standards. 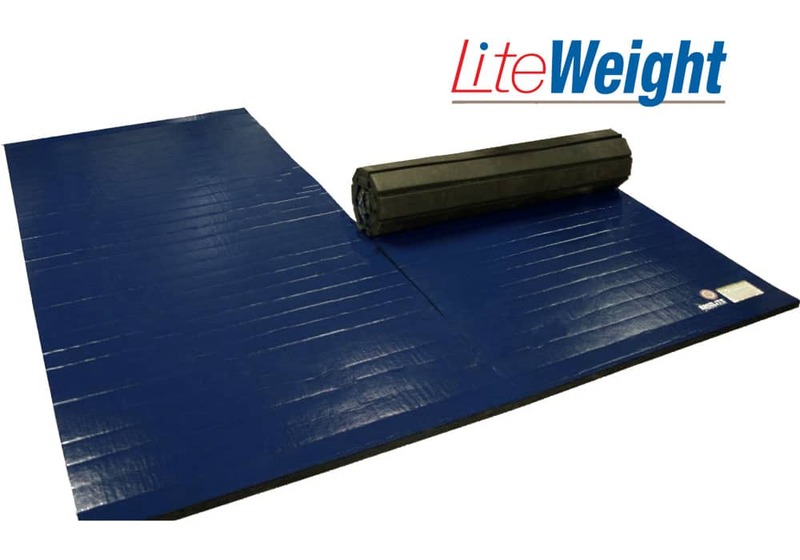 The LiteWeight Wrestling Mats are designed and manufactured to meet or exceed the ASTM F1081 wrestling mat impact standard in accordance with ASTM F355 "Test Method for Shock Absorbing Properties of Playing Surface Systems and Materials. Easy setup, handling, and storage. Arrives "Ready to Wrestle" with no need for additional curing time, no powder removal, no tubes. Thickness: 1-5/8" thick polyethylene foam to absorb impact. Mats will be shipped in sections (i.e. each section in its own box). Closed cell, cross-linked, polyethylene foam with flexible tambour slits on the bottom side for easy set-up, rolling and handling. Surface can be repaired when minor cuts occur, extending the life of your mat. Holds true to size with no shrinkage. Color of mat and color of markings are selected by you. Includes: Care & handling instructions. 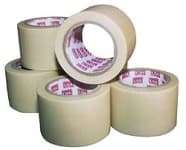 Two-Piece sets also include 3" mat tape. Taped seams are far superior to tapeless wrestling mats, since there is no annoying and dangerous "bunching-up" of the hook-and-loop fasteners used on competitors' mats. California Residents: California Proposition 65 Warning Information. Anywhere a wrestling or grappling mat is needed that is lighter weight making it more portable. Environments where a wrestling mat must be set up or removed very quickly. The slit foam backing makes rolling up the mat tambour style extremely fast and efficient. Defensive tactics training for police officers, FBI, and other law enforcement agencies. In physical therapy and sports rehabilitation, a large floor surface that is firm enough for walking rehabilitation but still soft enough to provide fall protection. Situations that require a shock absorbing underlayment. Small wrestling mat for home use. How to Roll and Store your Wrestling Mat: Always roll and unroll the mats with the vinyl surface inward. Forcing the mat to roll in the opposite direction will damage the mat foam and vinyl surface. The mats should be stored upright, standing on end, on a smooth, flat surface. Note: These mats cannot be shipped outside of the contiguous 48 United States. Need a Large Size, Custom Size, or Custom Color Combination? Please specify size in your request. Please specify desired color(s) in your request.